Binders containing hundreds of sweet recipes mysteriously disappeared overnight from Mr. Holmes Bakeshop, a three-month-old start-up in San Francisco's Tenderloin that's growing in popularity. In fact, on a typical weekday 7 a.m. opening, most goods are sold by 11. 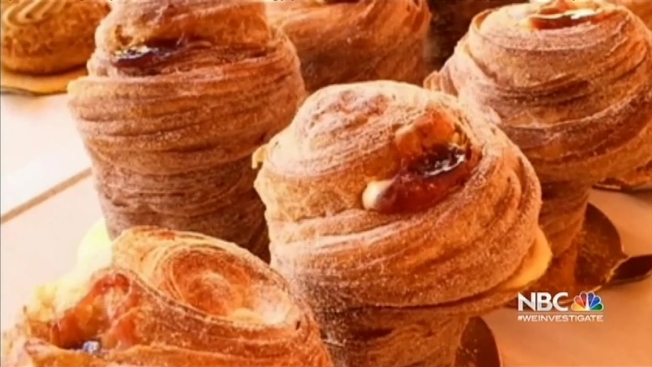 Word got out to the shop's loyal following, and customers were worried those famous "cruffins" -- a croissant and muffin hybrid -- were history. Fortunately, the shop's recipes were all backed up on a computer. "Some people were calling up through the day, like 'Hey, if they stole the cruffin recipe, are you going to have cruffins tomorrow? Because if not, we might not come!'" said Ry Stephen, a co-owner of the bakery. Stephen suspects a copycat may be the culprit. "There's a sense of competitiveness in pastry just like in a sport or in writing," Stephen said. No equipment or cash were taken from the bakery. While there were no signs of forced entry, the owners insist this was not an inside job.